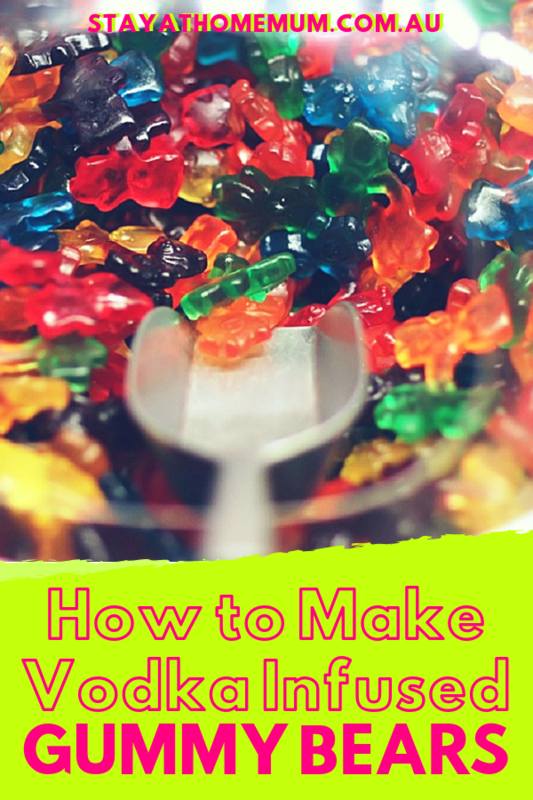 How to Make Vodka Infused Gummy BearsSweet, And Naughty! If you want lollies that aren’t just sweet but will knock you off your feet, these Vodka Infused Gummy Bears are probably for you. An adults-only treat that has one hell of a kick, these gummy bears are great for parties and can be added into ice cream for a really boozy dessert treat! Just make sure you keep them well away from the kids!! They take around 24-48 hours to make though, so get them soaking in advance! Pour the gummy bears into a bowl. If you don’t have gummy bears, you can also use gummy worms but not the ones covered in sugar! Cover the gummy bears with vodka. Depending on how many gummy bears you’re making, you will need more or less vodka. You shouldn’t drown the gummy bears, they just need to be sitting below the surface of the liquid. Leave to soak for 24-48 hours, checking at the 24 hours mark to see if the lollies have absorbed enough vodka for your liking. Take the gummy bears out of the vodka with a slotted spoon, place into a new container, and eat as desired. Either discard the vodka or drink, but it will taste like gummies.